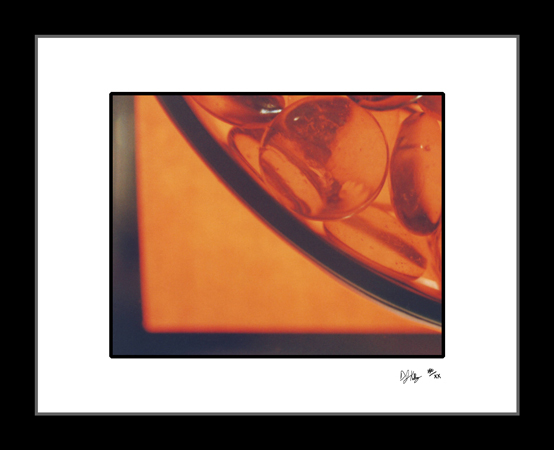 The orange appearing marbles in this abstract photograph appear to be segregated into a space by thick dark lines. The clear round marbles and vase is backlit by an orange light. The curved delicate organic marbles contrast sharply with the bold straight geometry of the vase in this macro photo. The bold color, lines and textures make this photograph a strong addition to any art collection.